I was fortunate to have been able to volunteer at and attend the conference all week. I attended workshops presented by indigenous peoples from Canada, Aotearoa (New Zealand), and Hawai‘i and also met people from Japan, Australia, and Europe. Many of the presentations I attended focused on indigenizing the academy, but other topics included information literacy, digital storytelling, digital libraries, strengthening culture, indigenous leadership and the importance of our indigenous languages. As part of the Huaka‘i day, I also had the pleasure of visiting Ka Waihona o ka Na‘auao public charter school in Nānākuli, not too far from ‘Ulu‘ulu. We had about twenty people from Australia, Aotearoa, the United States, and Hawai‘i in our group. As soon as we got off the bus, we were welcomed with an ‘oli aloha by haumāna at Ka Waihona. 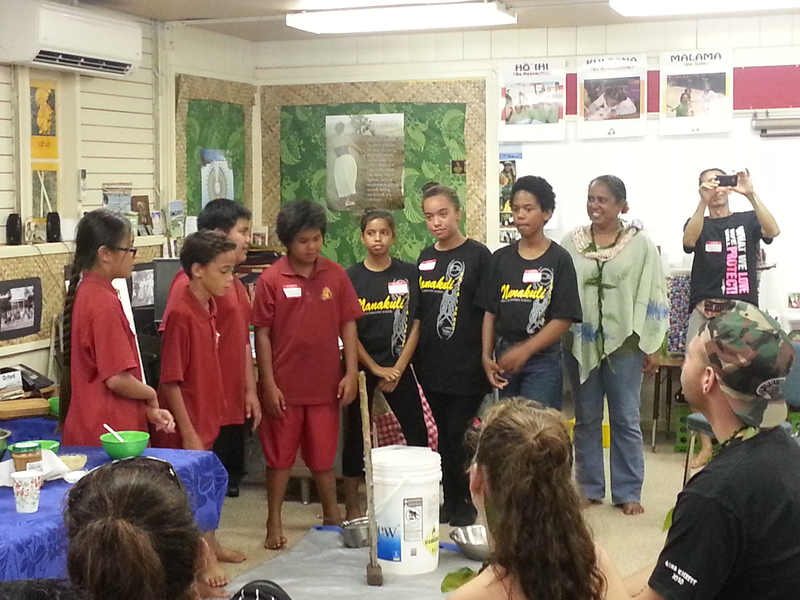 During our visit, we listened to kumu and haumāna talk about the school’s humble beginnings, its challenges and its successes. The haumāna also took some time to explain what they had learned about the kiawe trees, which are abundant on the Wai‘anae coast. Apparently, kiawe beans are edible! And, they use its beans to make energy bars which have already won awards and are now sold in restaurants in Waikīkī. The entire huaka‘i was a great learning experience and everyone in our group had nothing but good things to say on the bus ride back to Kapi‘olani Community College (view photos here). 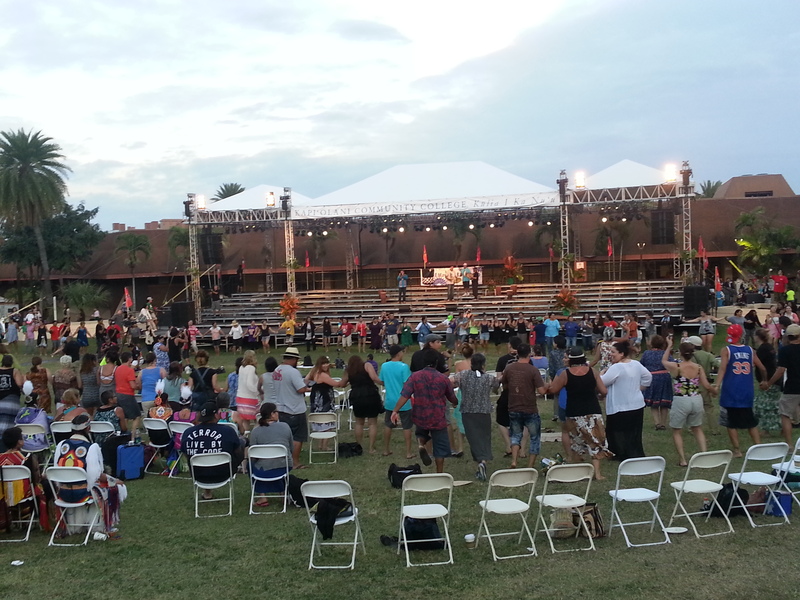 As much fun as the huaka‘i was though, the cultural performances were my favorite parts of the conference. From the parade of nations held on Monday to the cultural presentations held throughout the conference (especially those on Thursday evening! ), it was indeed a treat to be able to listen to indigenous peoples speaking their languages and to watch them doing traditional songs and dances. Overall, I am entirely grateful that I was able to attend WiPC:E 2014. It was an awesome experience personally and professionally! 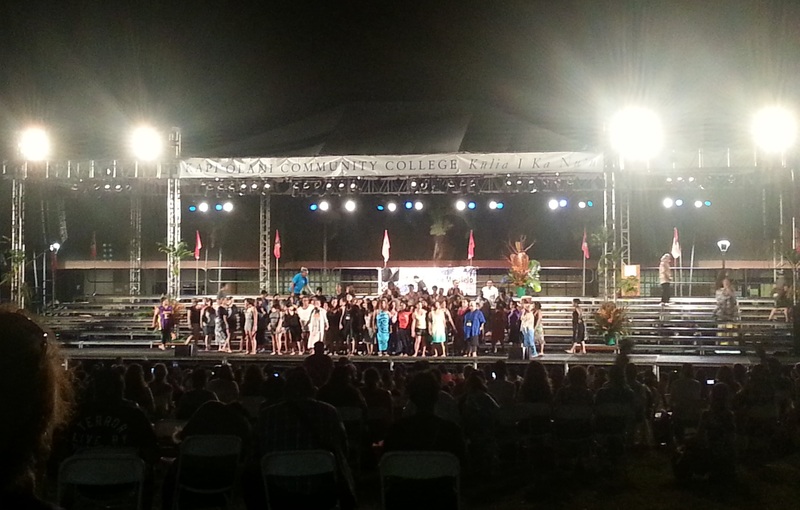 Mahalo to the Conference Chairs, Lui Hokoano (UHWO) and Judy Ann Olivera (WCC), and the Organizing Committee. Special mahalo to the Huaka‘i Committee for allowing me to volunteer with your team! Click here to check out photos of WiPC:E on our Flickr!